For those who enjoy outdoor recreation, our Chef Igor Bednyakov has prepared a special offer: from May 2nd and throughout the summer, our guests will have the chance to have private parties on the restaurant’s terrace and fry their favourite food on unique volcanic rocks by themselves. 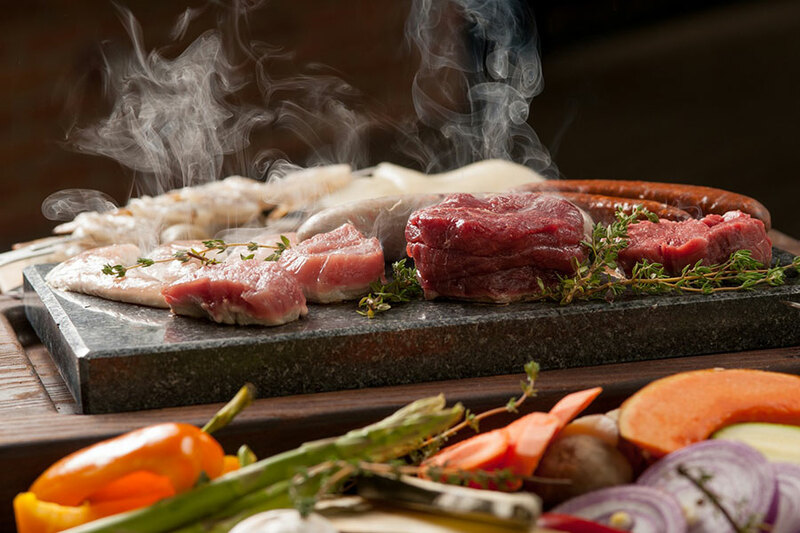 Natural eco-friendly stone ‘Zharkamen’ can maintain the working temperature for up to 45 minutes and allow cooking tasty and healthy food without fat and oil. The ‘Zharkamen’ menu is quite diverse: beef, veal, pork medallions; beef, chicken sausages; chicken fillet; shrimps, scallops; eggplants; zucchinis; sweet pepper. To extend our guests’ creative culinary opportunities, we provide a variety of spices: pink, sea and Himalayan salt, salt with rosemary, lemon, thyme, as well as black, pink, white and green pepper.